Australian. Victorian. 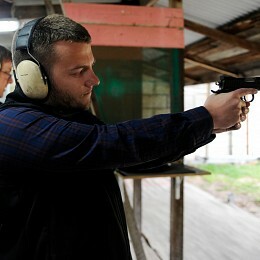 Sports Journalist. Currently living in London. Richmond supporter. "The role of the hero is to protect the innocent, to eradicate evil, to actuate the good." The AFL’s 2018 trade period has come and gone in the blink of an eye and the Melbourne Football Club has found itself at the forefront of the action. Port Adelaide sent the AFL world into a frenzy 12 months ago went they pulled off one of the more interesting series of recruiting moves in the modern age. 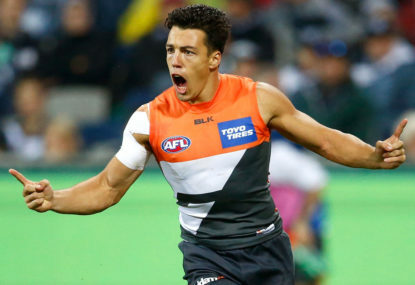 Greater Western Sydney star midfielder Dylan Shiel has allegedly been offered a staggering deal from St Kilda. AFL grand final day is a magical point in the season where names, reputations and sometimes even legends are forged and 2018 was no different. Was Richmond's season a pass or failure? Time is a funny old thing, whizzing past at reckless speeds for some, while for others it seems like the grinding gears of the universe move at a snail’s pace. Australia’s international test team is staring down the barrel of a two-game series against Pakistan. 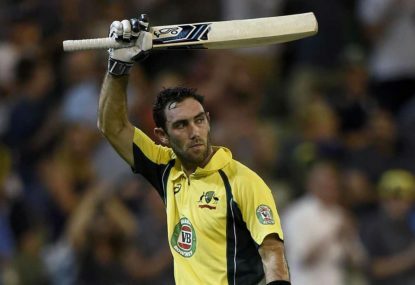 It wouldn’t be another Aussie tour without more selection drama revolving around Glenn Maxwell. Geelong settles for near enough is good enough – again! 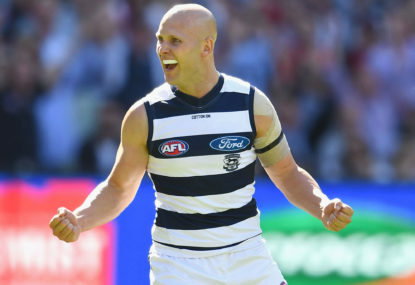 Geelong’s 2018 season came to an uninspired conclusion on Friday night, defeated by Melbourne at the MCG in an elimination final, feeling the cold embrace of irrelevance once again. 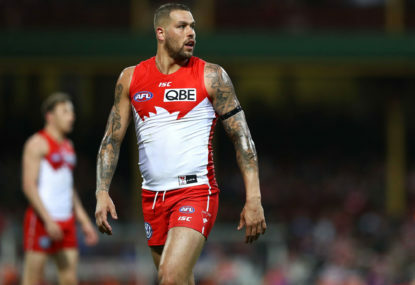 The Swans’ 2018 Australian Football League premiership campaign disintegrated before the eyes of millions on Saturday afternoon, demolished by Greater Western Sydney at the SCG. 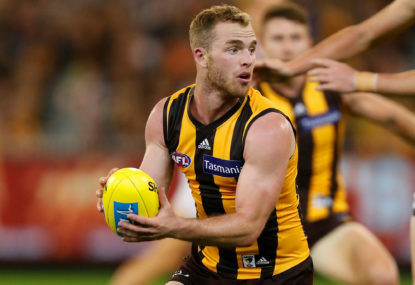 The 21st round of the 2018 AFL season is upon us in a few short hours and with it comes a five-game Saturday spectacular – a marathon of key games in determining how the rest of the season will unfold. 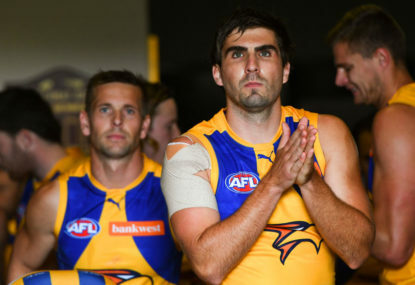 How far can the Eagles go without Andrew Gaff? 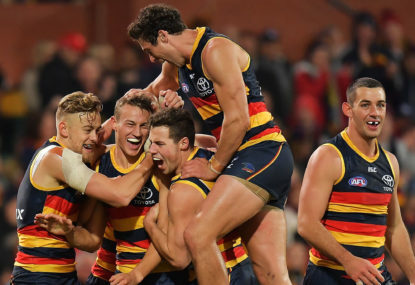 A little over a month ago, it felt like the 2018 AFL finals series was primed for West Coast’s taking. Ladder leaders Richmond went head-to-head with Geelong at the MCG, in one of the toughest encounters of 2018 on Friday night. Despite some of the loudest voices in the media endlessly droning on about the state of the game, it’s been a thrilling race through the AFL’s home-and-away campaign in 2018. 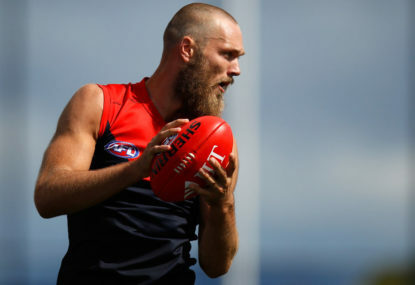 Melbourne big man Max Gawn is rocketing his way through a season to remember, starring as the competition’s premier ruck option and putting himself in contention for the AFL’s highest individual honour, the Brownlow Medal. Wisdom from generations that have come and gone tell us that bad news comes in threes. That appears to be the situation for three key premiership contenders after Round 19 of the AFL season. 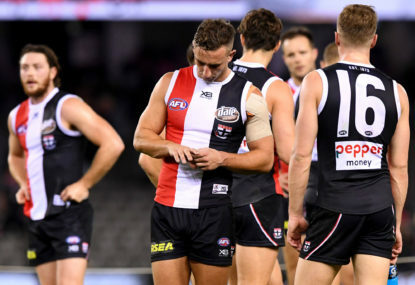 Extinguished like a lipstick-stained cigarette in a filthy nightclub ashtray, St Kilda’s 2018 AFL season has well and truly been put to rest. Heading into Round 18 of the 2018 AFL season, the stakes have never been higher for Geelong and Melbourne, who are going head-to-head on Saturday night for the second time this season. The old saying goes that bad news comes in threes and that was certainly the case AFL’s top three premiership contenders in Round 17. You’re right that Steve Smith never would have captained this side to a draw. He would’ve captained them to a win because he has more to offer with the bat than Shaun Marsh, Mitch Marsh and Marnus Labuschagne combined. This is true but not in the way that you describe. 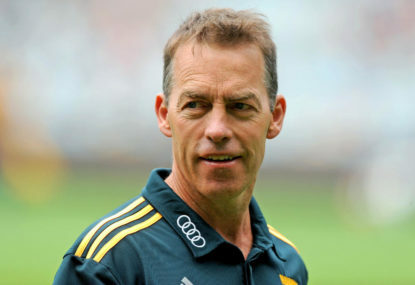 Langer is responsible for the draw for sure – but only to the extent that he stopped Australia from recording a win at all. The selections of Mitch Marsh, Shaun Marsh and Marnus Labuschagne were a complete disaster and guaranteed that Australia had to go head to head with Pakistan in Asia with just eight contributors. Mitch Marsh’s second chance selection born out of his value with the bat and ball. Now he’s a ‘number four’ who can’t bowl (or make runs). Shaun Marsh – no scores above 50 since the Ashes. 35 years old and averaging less than 38 – why bother? No point getting stuck into Marnus – he shouldn’t be out there in the first place with his career numbers. An Australian side with three more functioning batsmen wins that encounter easily. Hopefully this isn’t a sign of things to come for Australia under Langer. Good business for the Swans getting Hanners off the books. You need to burn down the old growth for the new forestry to emerge. Bad business for the Saints. Five years is far too long. Hanners already showing all the signs that his best football is long gone. The rich get richer and the poor get poorer. Way of the world! Can’t believe I dropped Woosha in my notes. Shocking error on my behalf. That will teach me to write sports articles while on cold and flu medicine. Interesting article but a key point of contention. Richmond’s premiership in 2017 was not a fairy tale result because of the on-field performance. Richmond’s win was ‘magical’ (for lack of a better term) because of the historical significance of the win. More than three decades of being completely useless all brought to an end. 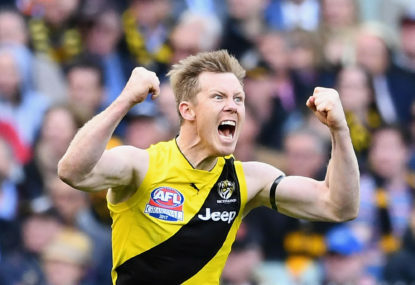 During the regular season Richmond managed to cement a top four spot and while they managed to turn it on during finals better than anyone else – they were also an elite calibre side. Apart from a dip in form with four extremely close losses in a row, Richmond were pretty much unbeatable. That, and a huge smacking at the hands of the Saints of course. The Western Bulldogs was a fairy tale because they came from outside the top four and won. They had the historical angle of course too, but with them it was more about the fact that they finished seventh that made it an underdog story. Richmond blew the Crows apart at their home ground after a great season. The Western Bulldogs got the job done against a talented Sydney after finishing the regular season miles away from premiership contention. Different breeds of dog. Richmond’s luck with injury is greatly exaggerated. Daniel Rioli and Dion Prestia for half a season. Jack Graham and his shoulder. Reece Conca and his foot. Bachar Houli for 25 percent of the season. Dan Butler and his ankle. That’s just regular season business. Heading into the preliminary final Richmond chose to play Dustin Martin who was clearly well, well below par. He couldn’t even fly for contested marks in the opening minutes. Add to that Kane Lambert who was playing minutes after surgery on his ankle and was clearly no good. Exact same story with Reece Conca who was a shadow of his first half of the season self. David Astbury entered the match after enduring gastro during the week and not training. Jack Graham really struggled post-surgery too. Key pressure player on the ground and it was obvious he had no faith in his shoulder and couldn’t tackle. I’m not going to excuse the selections of these players – all mistakes – but this narrative that Richmond had a dream run with injuries in both 2017 and 2018 is incorrect. It was nothing like that of Adelaide or Collingwood but it wasn’t ideal either. 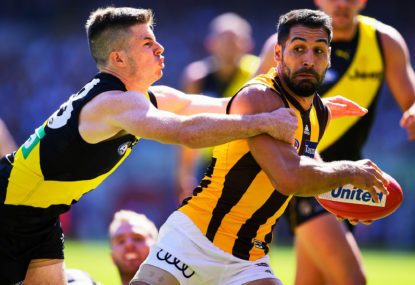 Richmond’s forward line will be reaching Globe Trotter levels of talent in 2019 but it means next to nothing if they don’t have the game plan to match it. Jack Reiwoldt is now a triple Coleman Medallist. Tom Lynch has shown plenty in his time at the Gold Coast and he’s had to do it with next to no one out on the park with him. When the Suns came close to success in…2014 (I’m pretty sure ) Ablett nearly won the Brownlow with two thirds of a season and Lynch was kicking bags regularly. Add Josh Caddy who is now a certified 40-goal a year player and Dustin Martin – a one-on-one player who doesn’t need any introduction. 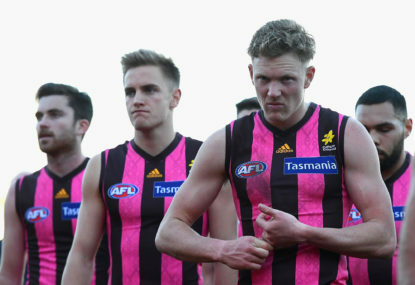 That’s four players a minimum who can tear a game apart, and then you can feel free to talk about Daniel Rioli, Jason Castagna, Jack Higgins, Shane Edwards and Dan Butler and everything these mostly premiership players bring to the park. They won’t all play at once of course, but it’s depth depth depth. But of course it means nothing if they don’t all play together. >Using Shiel to cement the club’s status as a destination club is a good idea. Being labelled a destination club doesn’t impact how you perform on the ground though and that’s St Kilda’s real issue. >Likewise, if you waste an extra $400,000 a year on Shiel – how do you propose the Saints are going to pay for these other big fish? >Why does St Kilda need to use Shiel to raise the standards at training and around the club? This is a professional sports club. They should be doing that themselves. Shiel is also not a premiership player, so there’s no reason to think he’s the man to be raising standards to the right level. He’s never even played in a grand final. >I’m not suggesting Shiel wouldn’t have a positive impact on the midfield around him. Just that he’s not the solution to most of the issues they face currently. Appreciate the feedback. Have a good day. Appreciate the kind feedback Birdman! I really like the first line you’ve got there – that perfectly sums up the message I was trying to get across. The Saints are really, really desperate to sell hope to the fan base in the form of a big signing and they’ve made the decision to throw a fat stack of cash down the well in order to do so. Unlikely to pay off! Big thank you to everyone who has left feedback on my article so far. I suspected when I gave the article a third proof before submitting it that I was coming across as a bitter Richmond supporter reeling from a bit of disrespect. So far everyone’s feedback has confirmed that is very much the case. 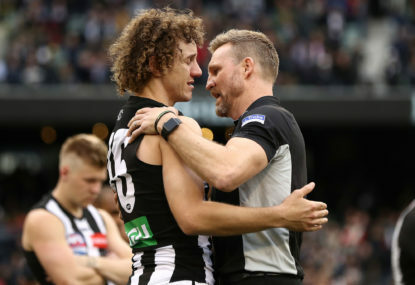 I still stand by every point made in the article, I don’t think I’m logically wrong in any of the cases I put forward – it’s just that none of it really matters from outside of a Richmond perspective. Why would Fremantle fans, as an example, really care if Scott throws some undue shade in the direction of the Tigers? Beyond an odd thought they wouldn’t really. Richmond supporters on the other hand would probably read a lot into it. Cats fired every cannonball they had on board on Friday night and couldn’t win against a Richmond side they barely moved out of third gear. Tigers won’t be bothered with a match up against Geelong come finals. They’d probably rather it to be honest. Tigers more concerned about West Coast, Port Adelaide or a less injury riddled Collingwood. Collingwood in particular. You always need to remember how sure everyone was that Lance Franklin was off to Greater Western Sydney, Josh! It was a done deal according to 99.87% of the footy world. So true Peter. The comparison between Richmond and Hawthorn really needs to cool off. Hawks won the flag in 2008, cooled off for a few years, then went ballistic in 2013, 2014 and 2015 and a few of the years surrounding. They completely evolved as a team from year to year too. Richmond has produced just under two years of dominance and has one flag so far. They’ve got about five or even six more years worth of elite level of finals footy before the comparison sticks in my mind. That, and they need to deal with the list evolution too. Richmond is still using the same core group of Martin, Cotchin, Rance, Prestia, Reiwoldt and Caddy. They’ll need to deal with a few years of stars coming and going and the game changing before they’re really Hawks V2. So true Peter. The comparison between Richmond and Hawthorn really need to cool off. Hawks won the flag in 2008, cooled off for a few years, then went ballistic in 2013, 2014 and 2015 and a few of the years surrounding. They completed evolved as a team from year to year too. It’s a fair comparison but I think the maths behind the situation waters down the overall severity of the trade. Durant = Lynch. Five players on the court in basketball. Durant heads to Golden State and now one fifth of the work load is occupied by a top three player in the NBA. 20 percent. 22 players on the field in footy. Lynch heads to Richmond and now just under five percent of the work load is occupied by a top ten (five ?) 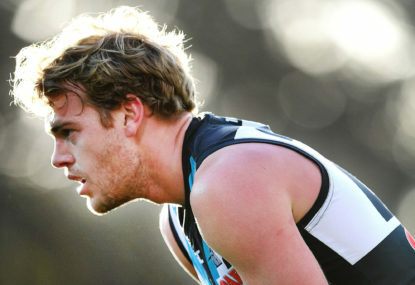 player in the AFL. 5 percent. For the Durant = Lynch comparison to really work, Richmond would need to pick up Lynch, May, Sloane and McGovern all in one go and improve across 20 percent of the field at once. I’m probably overthinking this. The maths in footy make it a situation a lot easier to swallow. Really good comparison, I agree entirely. Richmond in, 2013 (??) I think only just missed out on finals but lost more than a half dozen games by less than 10 points. Melbourne feels the same way now. That’s why I think it’s been important that Melbourne manage to scrape into the top four this year, so they can have at least two finals and really get a feel for it. Richmond had to suffer three elimination final defeats and a year out of September just to get the hang of being in finals again. Hopefully for the sake of the Demons they don’t need the same sort of trial by fire to enjoy some success. I think you’re on the money here. 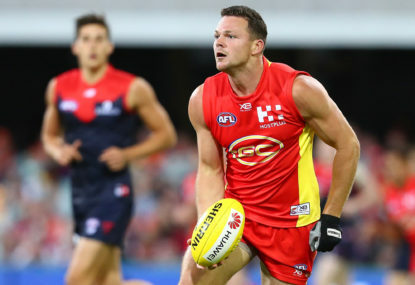 Melbourne was crushed after Jake Lever got injured and was rubbed out for the season for a very good reason. 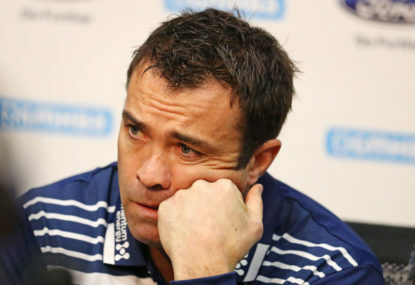 Without him down back, Melbourne concedes too much. It’s crazy to think that a side averaging 103+ points has dropped so many close ones. Melbourne would probably be top two with the Tigers if it wasn’t for Lever’s injury. Don I appreciate your desire to fly the flag for both Fremantle and Harley Bennell but I think implying that my comparison between HB and Chris Yarran was racially motivated and ‘disgusting’ is a step too far. Both two club players. Both traded as a Hail Mary pass to fix a struggling midfield. Both lauded for leg speed and ability to navigate congestion. Both struggled with drug issues away from football. Both from Western Australia. Both weigh 85 kilograms. Both struggled with low body injuries for years on end. Both have played less than 125 games despite spending the better part of a decade in the system. Both taken in the top 10 of the national draft. ‘History doesn’t repeat itself, but it sure does rhyme’ – Mark Twain. “My position is clear. I’d give Harley a 10-year contract if it was up to me,” Lyon said. How can anyone read that and not chuckle? Two games in three years. Lyon’s longevity as coach is staggering. The only people who think that way are Sydney supporters and a handful of other onlookers who got tired of the praise the Bulldogs are receiving. The umpiring wasn’t that bad and it should never stop you from winning the flag. Richmond are 18th in free kicks against in both 2017 and 2018 and in a strong position to go back-to-back. John Longmire said it best, Sydney had too few contributors in that grand final and a number of Bulldogs played out of their skins. Let’s not change history and try to deprive the Bulldogs of their only flag in 60+ years. GWS are on the march, but is their season already a waste? Yeah spot on Rick well said. From an AFL perspective it’s better for them to pay to keep the Gold Coast Sun in action. If they (admit they made a mistake) and scrap the club, they’ll lose a foot in the door of the Queensland market (thus leaving Brisbane the only territory owned in all of Queensland) and that’s unacceptable in such a huge state. I love the idea of a regular season being 36 rounds so much. I always think of it like the AFL becoming closer to the NBA. Over the course of a much longer season you’re forced to use more of your full playing squad. Maybe even extend every list to 55 players or something. We’d see more and more young talent. That way in a regular home and away you’d be forced to use resources better, ie; a player like a Dangerfield or a Martin would only ever play 25 out of a possible 36 regular matches or something. The only problem is you’d have to deal with audience burnout. People are usually already pretty fatigued with footy by round 22. Especially if they aren’t going to watch their team play finals. Aussie Rules is definitely more demanding than football (soccer) though. Longer game time. More physically demanding. Bigger playing area. If you make the grand final you’re playing 25 games v 40. Peter! I thought we agreed that Brodie Grundy can’t win the Brownlow in 2018 because we’ve already given it to Steele Sidebottom! Hahaha. Good read Cameron. Succinct. I like it. GWS are out of contention, although I do think they’ll make it to September. Richmond, West Coast, Collingwood, Sydney, Melbourne, Port Adelaide, Geelong, GWS. GWS are a Ferrari for sure. But they’ve got a huge dint in the bonnet and someone’s stolen wheels. They can play killer football but can’t get a consistent 22 out on the park each week. 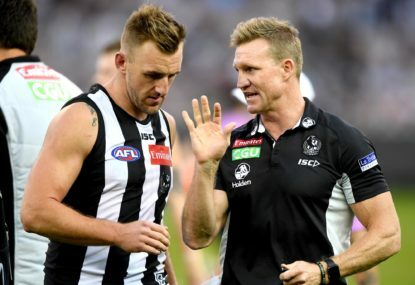 Injury is mostly to blame of course but that hasn’t stopped Collingwood. A final between Melbourne and GWS would be great.